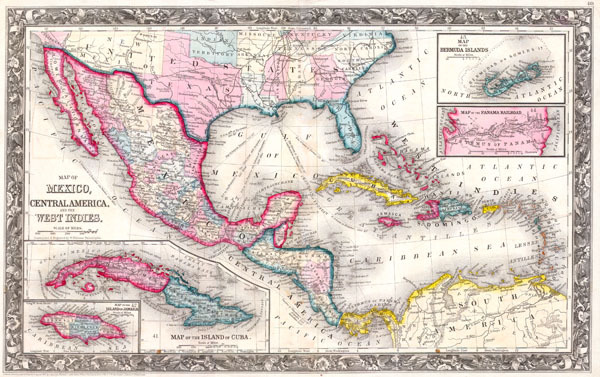 A New Map of Mexico, Central America, and the West Indies. / Map of the Island of Cuba. / Map of the Bermuda Islands. Very good condition. Minor discoloration on original centerfold. Rumsey 0565.028 (1860 edition). Phillips (Atlases) 831-40. New York Public Library, Map Division, 1510823.